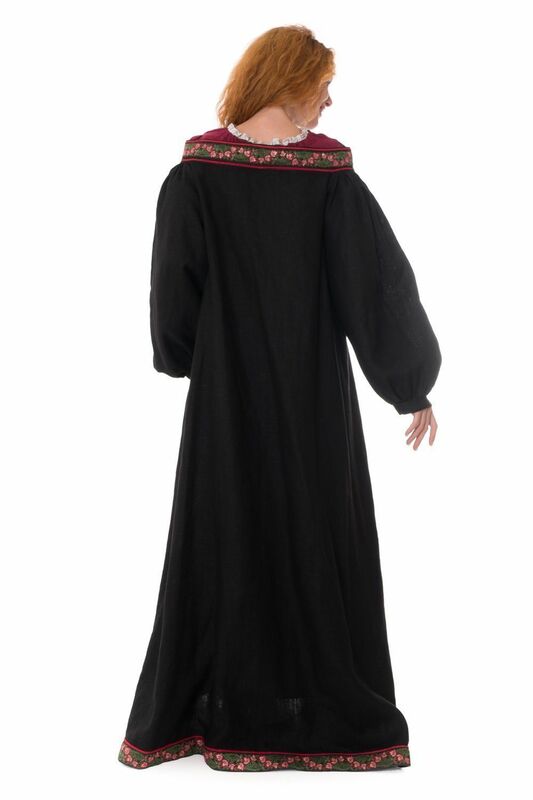 The coat with wide puffed sleeves is without lining and can be made of 100% natural linen or wool. It goes perfectly with the dress "Fairy passion" or any other dress. 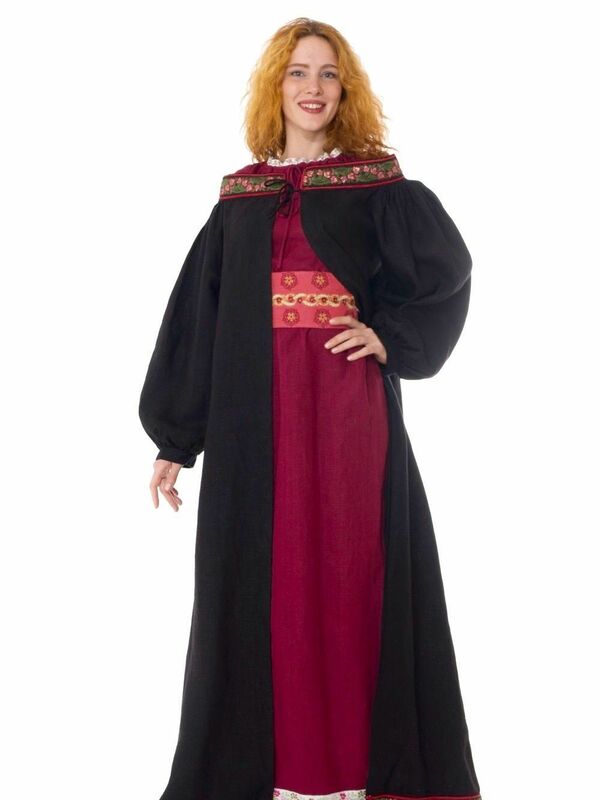 It is decorated with beautiful trim on the neckline and is fastened on the chest level. The crown and fiblula are not included in the price. 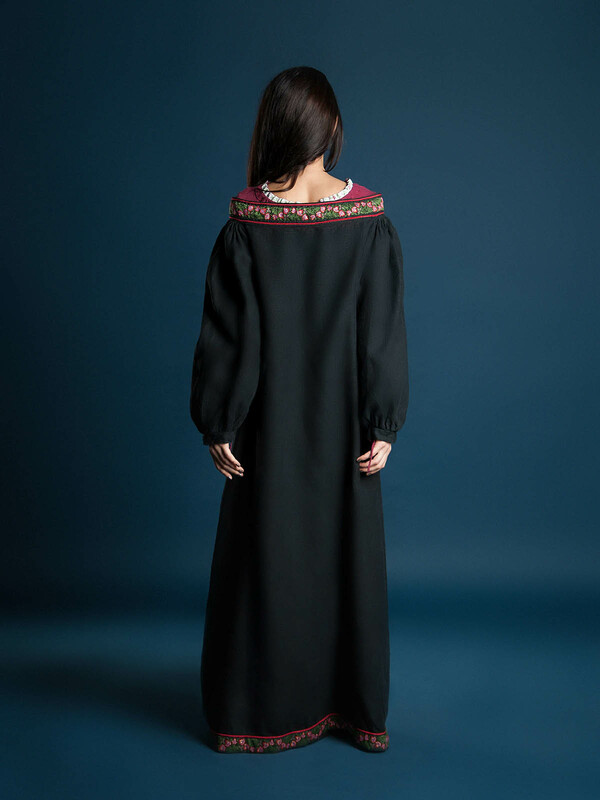 Very nice-looking coat goes is made of 100% natural linen or wool. 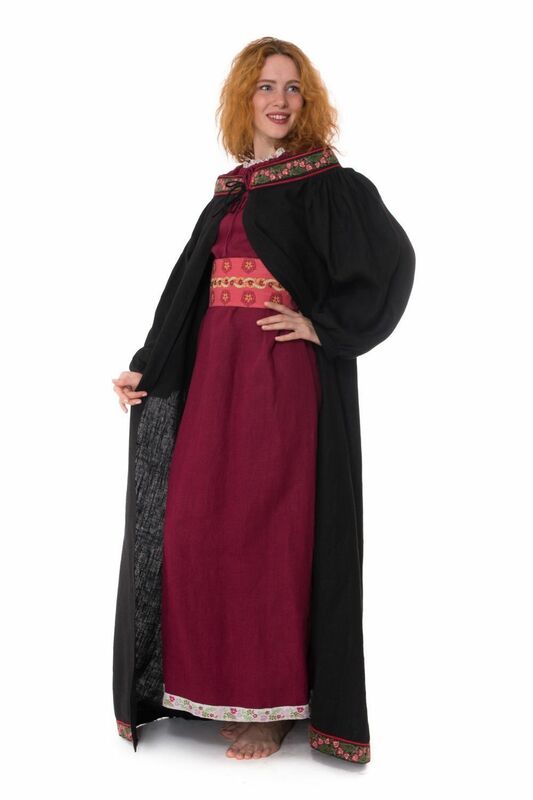 It goes well together with the dress "Blazing Dream" or any other garbs and is essential part of the medieval or fantasy costume. Beautiful trim of contrast colour decorates coat's edges. Different colours are available for order. If you have any wishes regarding colour of trim, please contact us [email protected] The crown and fibula are not included in the price. ..